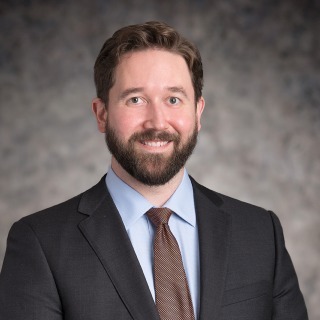 Clinton T. Lipscomb is a litigation associate in the firm’s Washington office and a member of the firm’s Anti-Corruption & Internal Investigations practice group. He focuses on matters related to the U.S. Foreign Corrupt Practices Act and other international anti-corruption laws. In this context, he has served in both investigative and advisory roles. Clinton has assisted companies with conducting global anti-corruption, fraud, and export control investigations, including in connection with disclosures to the U.S. government and inquiries from domestic and foreign enforcement agencies. He has also assisted companies with conducting risk assessments of global operations, strengthening internal anti-corruption policies and procedures, and analyzing and managing third-party relationships from an anti-corruption perspective. His other areas of experience include general corporate governance and complex product liability litigation. For major luxury goods company, developed standardized anti-bribery and other compliance clauses for use in contracts with numerous types of third parties, including suppliers, subcontractors, distributors, sales agents, commercial resellers, and joint venture partners. Assisted major multinational company in connection with assessment of corruption risk in global operations and procedures. Developed anti-corruption training for third-party agents of small media company. Assisted major multinational company in due diligence review of internal practices and third-party relationships for risk factors pertaining to the FCPA and other international anti-corruption laws. Assisted major multinational companies in due diligence reviews regarding pre- and post-sale global M&A activity. Assisted consortium of lenders in connection with anti-corruption provisions of loan documents. Assisted major U.S. product manufacturer with defense against claims of negligence, design defect, failure to warn, fraud, misrepresentation, and conspiracy. Served on Drafting Committee for Hughes Hubbard’s annual FCPA Alert in 2017 and 2018. Provided pro bono assistance in a variety of areas, including voters’ rights, Special Immigrant Juveniles Status applications, New York housing law, and uncontested divorce proceedings.